I touched on this topic pretty heavily not too long ago. Some of you probably already know how I've been feeling lately about all the change happening around us. If I had to sum it up in one word, it would be overwhelmed. Back in the summer of 2013, Microsoft announced plans for faster release cycles. Windows was the main focus, but Visual Studio and "server" software like SQL Server were affected as well. Microsoft has actually maintained the 2-year release cadence for SQL Server going back to 2008 (don't forget SQL 2008 R2 was released in 2010). Their announcement shouldn't have come as a surprise, but it was jarring for some of us. I knew from personal experience that at best, I could probably pass one certification exam per year. Back then you needed five certs to earn an MCSE. I thought to myself "What's the point?" Who wants a certification for a product that's two releases behind the current version? And certification notwithstanding, with a new release every two years, how am I going to keep up? I wasn't alone in those feelings. Other DBAs were expressing some concern. And developers, too. But I don't blame Microsoft. They weren't driving the fast pace. They were adapting to the market and trying to survive and thrive. Smaller, faster releases had become prevalent enough that they couldn't wait 3-5 years for a major release. That's an eternity in the IT world, and Microsoft knew it. The 2-year release cycle has been tough for some of us. Other outside forces have compounded the burden. DBAs have had to learn about virtualization and cloud computing. 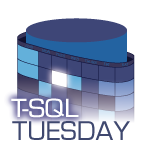 We've had to dip our toes in the No-SQL pool, and embrace automation like never before. Soon, if not already, we'll be working with containers and supporting SQL Server on Linux. Yeah, it's trite to talk about how "change is a constant". (Is there anyone unaware of this?) But most seem to agree that the traditional role of the DBA is undergoing a drastic transformation. Others predict it will be completely unrecognizable, if not extinct, in a few years. What's a DBA to do? Double down on SQL Server and stay the course? Or branch out to a different field like analytics, BI, or data science? Are you feeling overwhelmed yet? Join the club!